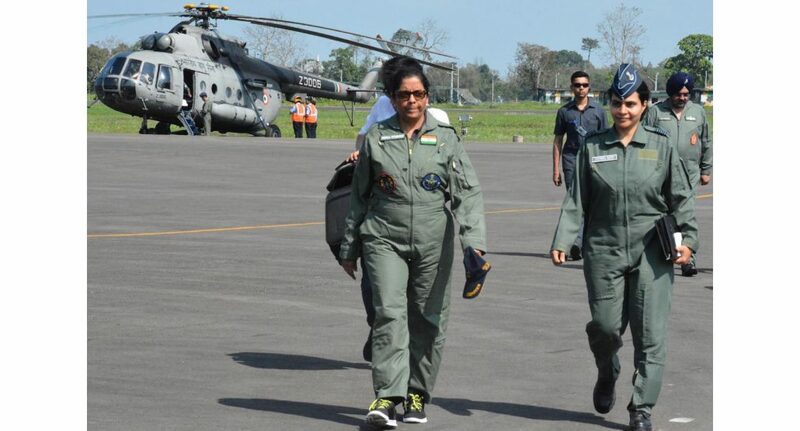 The proposed visit of the Union Defence Minister Nirmala Sitharaman, who was scheduled to visit Nagaland on Sunday, has cancelled her trip. According to sources, Union Defence Minister Sitharaman was to assess the security situation along the border areas with Myanmar. It could not be ascertained why the Union Defence Minister has cancelled her visit. General Officer Commanding-in-Chief, Eastern Command, Lt Gen Abhay Krishna, was scheduled to accompany Sitharaman. The General Officer Commanding-in-Chief, Eastern Command arrived in Dimapur on Saturday. Informing about her proposed visit to Nagaland, on May 19, 2018, Union Defence Minister Sitharaman on her Twitter handle, stated, “Scheduled to visit Nagaland tomorrow, 20 May, 2018. On Saturday, GOC-in-Chief, Eastern Command, Lieutenant General Krishna visited the Army’s Spear Corps Zone. He is on a two-day visit to the State. The General Officer was accompanied by Lieutenant General Gopal R, the General Officer Commanding, Spear Corps. As part of his assessment of the prevailing security situation in the North East States, General Abhay Krishna, commenced his visit from Dimapur on Friday.